Challenging and Fun! This is what students will tell you after completing this assignment. 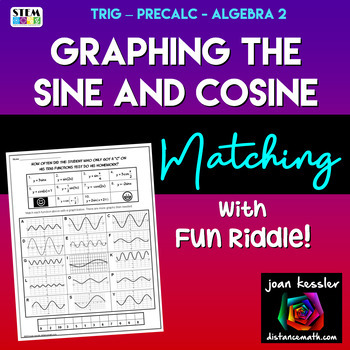 Students will match 10 equations of sine and cosine functions with their graphs. 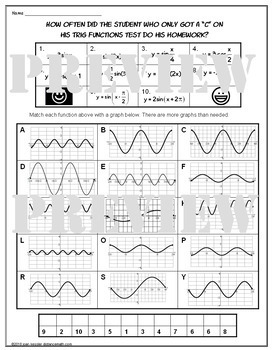 There are 15 graph choices, eliminating the "process of elimination" that so many students use with puzzles. Students must understand Amplitude, Period, Phase Shift, Vertical Shift, and Reflection across the x - axis.